Representatives from LOJIC team hit the road recently for a number of outreach activities to educate several groups on how our community uses GIS and to promote geographic awareness. 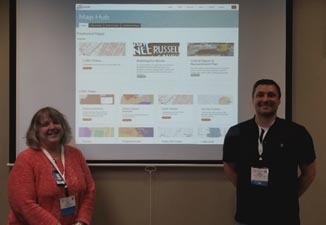 Jess Hamner and Jane Poole presented the many local uses of the LOJIC GIS in a technical session entitled “Not Your Grandfather’s GIS” at the Kentucky Digital Government Summit in Frankfort. The Summit was sponsored by Government Technology Magazine. 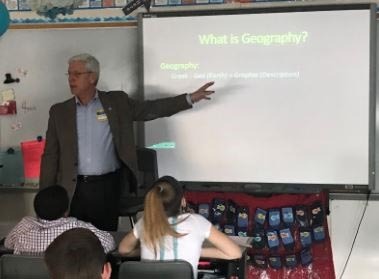 Curt Bynum spoke to all 5th grade students at Carter Traditional Elementary School on the importance of geography and maps to visualize and understand our world and serve our community through a presentation on “Geography Is Everywhere”.